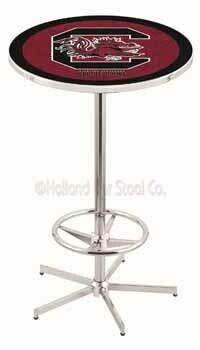 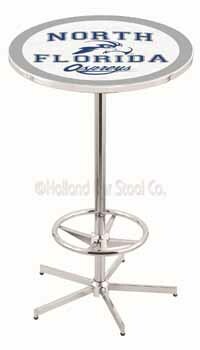 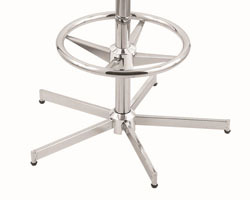 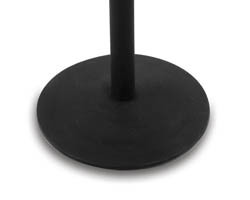 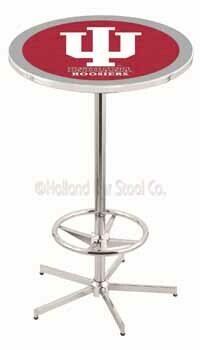 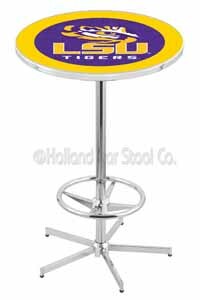 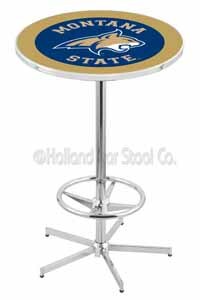 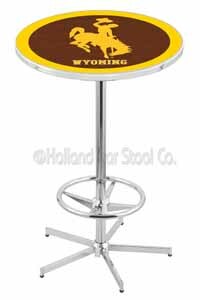 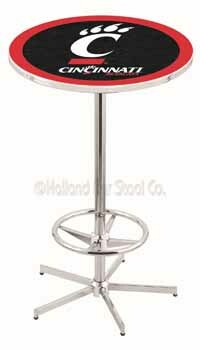 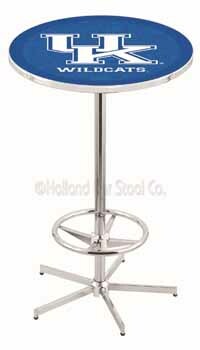 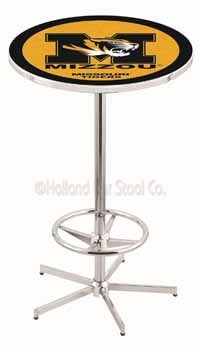 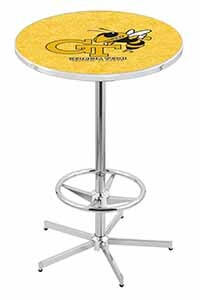 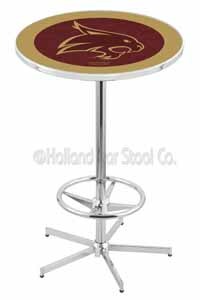 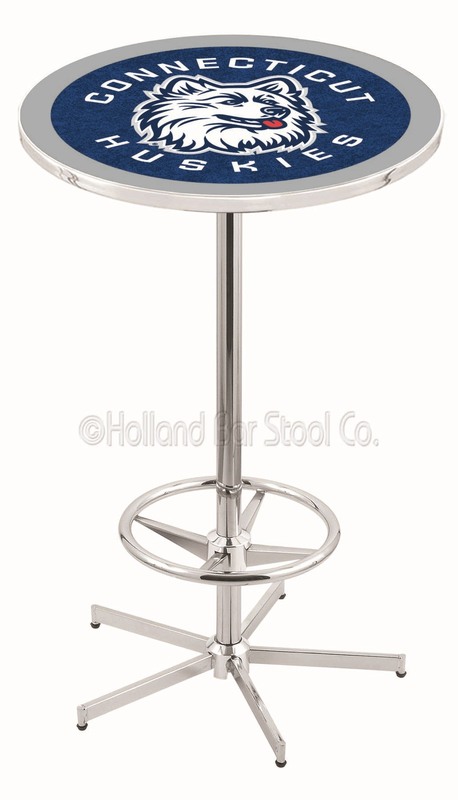 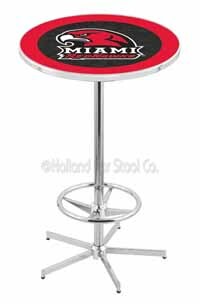 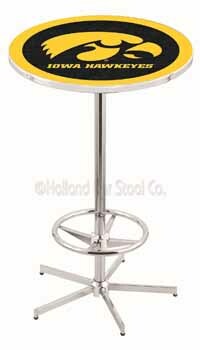 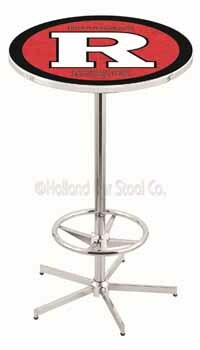 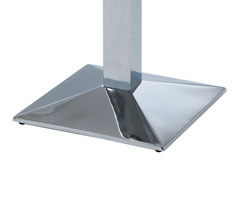 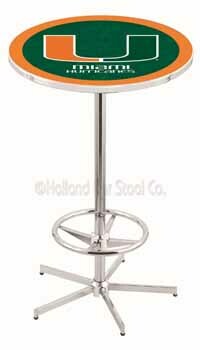 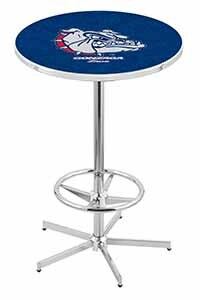 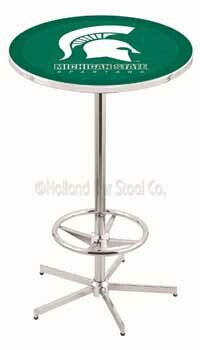 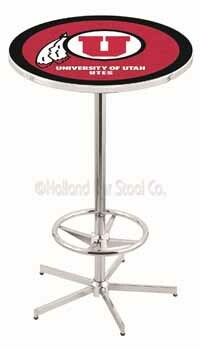 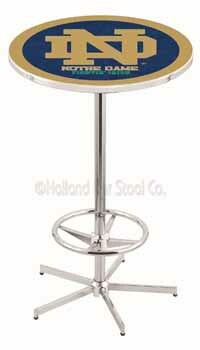 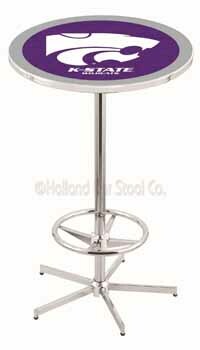 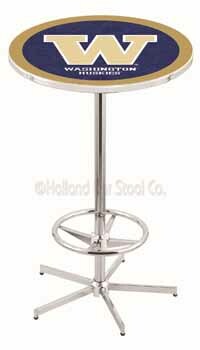 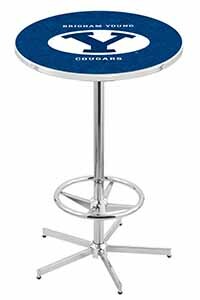 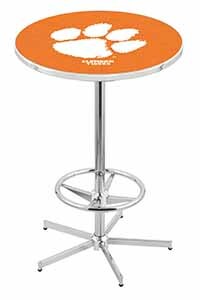 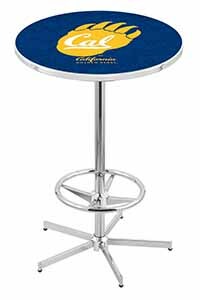 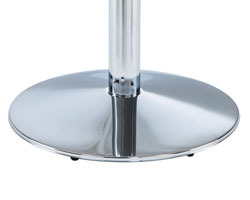 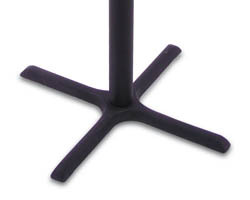 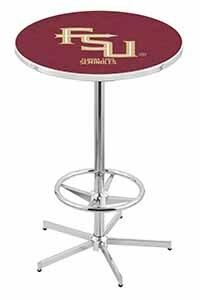 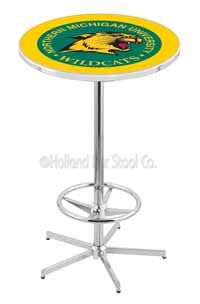 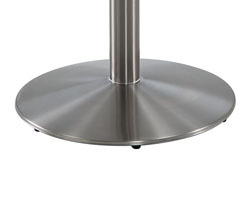 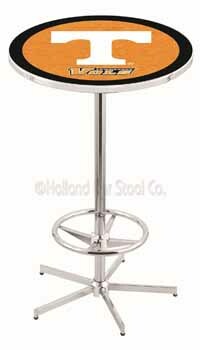 University of Connecticut Pub Table 100% made in USA, manufactured by Holland Bar Stools. 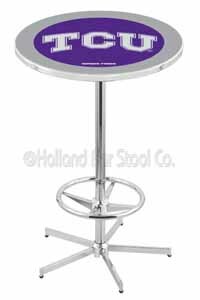 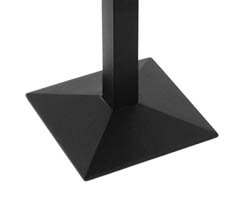 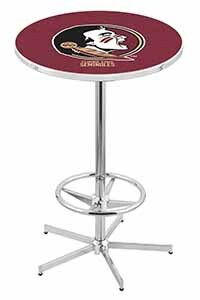 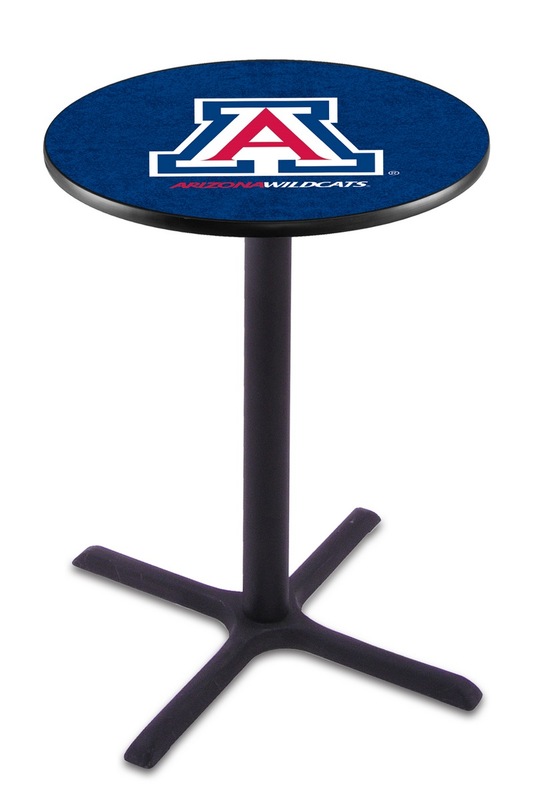 All the Huskies will cheer their team with great amusement when they sit around the University of Connecticut Pub Table in your pub. The table is circular and has team shads and logo with the team name running around the logo. 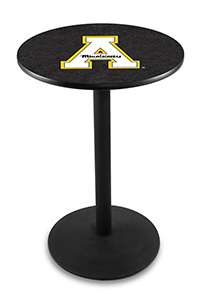 The table is accredited officially by the NACC to give it assurance of greatness.